HONG KONG, Apr 30, 2018 - (ACN Newswire) - The 33rd Hong Kong Gifts & Premium Fair, organised by HKTDC, concluded today at the Hong Kong Convention and Exhibition Centre. The concurrent 13th Hong Kong International Printing & Packaging Fair, jointly organised by the HKTDC and CIEC Exhibition (HK) , also came to a close at AsiaWorld-Expo. The four-day twin fairs together attracted over 64,000 buyers from 145 countries and regions, up 3.5 per cent over last year. Among emerging markets, Russia, India, the Chinese mainland and Association of Southeast Asian Nations (ASEAN) countries saw notable growth in buyer attendance, while many traditional markets, including France, Korea, Canada, Germany and the US also recorded double-digit percentage increases. Over 48,000 buyers attended the Gifts & Premium Fair, while close to 16,000 buyers visited the Printing & Packaging Fair. "In the face of fast-changing consumer demands, businesses with a good grasp of market trends will have an advantage. 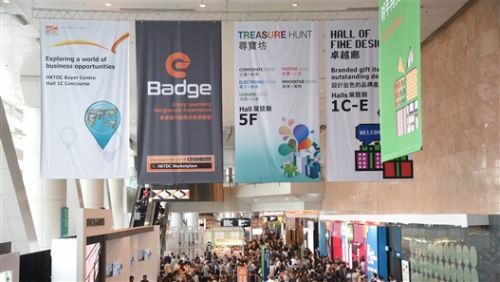 Therefore, we commissioned an independent on-site survey at the Gifts & Premium Fair once again to gauge participants' views on market prospects and product trends," said HKTDC Deputy Executive Director Benjamin Chau. "The survey found that the gifts and premium industry is optimistic about the market this year - and more so than they were last year." "Among major export markets, most of the respondents (70%) see Western Europe as having the best prospects in the next two years, followed by the Chinese mainland (64%), Japan (63%), North America (56%), Hong Kong (56%) and ASEAN countries (55%)," said Mr Chau. "We encourage industry players to capitalise on the opportunities available in these markets." The Hong Kong Gifts & Premium Fair welcomed 4,360 local and overseas exhibitors from 35 countries and regions, making it the world's largest trade fair of its kind and an ideal platform for companies to present their new products. The highlight zone, the Hall of Fine Designs, attracted more than 130 renowned brands, including Italian brand Pininfarina, a first-time exhibitor which showcased an innovative patented inkless pen that was well received by buyers. In response to the latest product trends, the World of Camping & Outdoor Goods was launched at the fair, featuring more than 90 exhibitors from around the world. A number of other thematic zones were set up to facilitate marketing and sourcing, including the World of Gift Ideas, Licensed Gifts, Travel Goods & Umbrellas, Startup Zone and Tech Gifts. "I like the World of Camping & Outdoor Goods because I found some interesting items such as portable BBQ grills, outdoor umbrellas, picnic sets and beach mats, which make perfect promotional items," said Benjamin Du Toit, Giftwrap Trading Pty Ltd, a buyer from South Africa. "I found 20 potential suppliers of different promotional gifts. I already placed US$3mil on-site orders with four of my existing suppliers. I plan to place an order with a new supplier from the Chinese mainland for US$200,000 worth of various promotional items after the fair," he added. 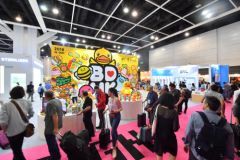 The concurrent Hong Kong International Printing & Packaging Fair featured more than 480 exhibitors from six countries and regions, showcasing a broad spectrum of printing and packaging solutions. Highlights included the De Luxe zone, which featured value-adding and high-end packaging solutions for various industries, helping businesses sharpen their competitive edge. Catering to the needs of different industries, the fair comprised the Innovative Retail Display Solutions, Green Printing & Packaging Solutions, Digital Printing & 3D Printing, and Food & Beverage Packaging Solutions zones. 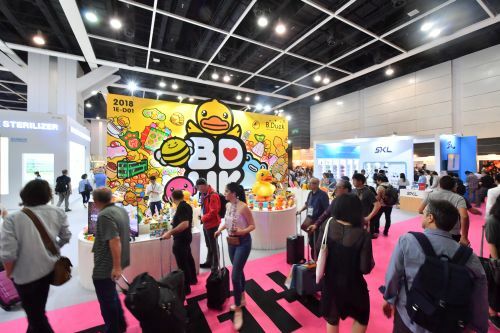 Pavilions representing the Graphic Arts Association of Hong Kong, Hunan province and Shenyang city of the mainland, as well as Korea made their debut this year, creating additional opportunities for buyers looking for the latest printing and packaging products and services. "We love this fair, which can really drive our business growth. We plan to take up a bigger booth next year," said Phan Hoang Hai, CEO of first-time exhibitor Viet Style Service Trading Company Limited from Vietnam, which aimed to raise its brand's profile and meet more international customers at the fair. "We've met with a number of buyers from different places such as Australia, Canada, the Chinese mainland, Greece, Hong Kong, Italy and Singapore. They are all very keen to import our products." The Hong Kong Gifts & Premium Fair continues to be the world's largest event of its kind. Its highlight zone, the Hall of Fine Designs, attracted more than 130 renowned brands. 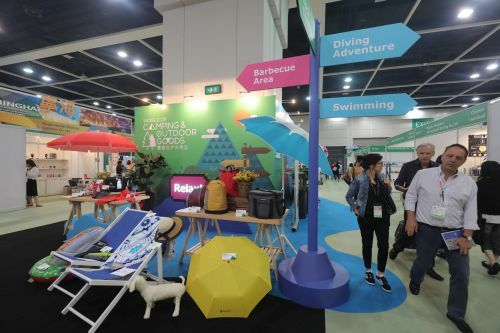 The World of Camping and Outdoor Goods, featuring more than 90 exhibitors from around the world, was launched to cater to the industry's latest needs.